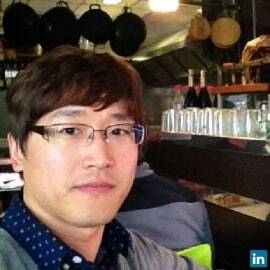 Jack (Byunghwan) Lee is Chief Executive Officer of Sky Labs. he is focusing on data driven preventive healthcare  which makes many people's life longer and healthier. To achieve this, Jack is responsible for developing cardiac tracker CART to diagnose atrial fibrillation in daily life. He takes advantage of his 15 years of experience developing signal processing systems to create the best healthcare systems and services. Prior to found Sky Labs, he was senior research & development engineer at Samsung Electronics R&D headquarter and be performing R&D in the area of signal processing system including 5G mobile communication system and LTE. In particular, Jack led the testbed development of the 5th generation cellular communication system and developed it for the first time in the world. He holds a B.S. Electrical & Electronic Engineering from Inha University, a M.S. Electrical Engineering from Korea Advanced Institute of Science and Technology (KAIST).